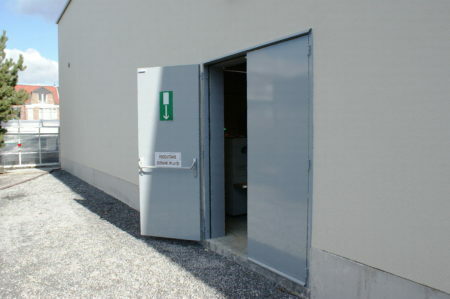 External doors are often used as emergency exits which are also burglary retardant in stores, retail shops, function rooms, concert halls, industrial buildings, etc. They can also be used indoors in humid and corrosive environments such as near kitchens or swimming pools (SS316 + paint). 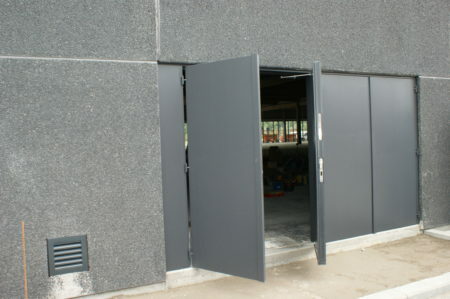 More and more external doors have to be fitted with acoustic insulation or fire-resistance features as well. 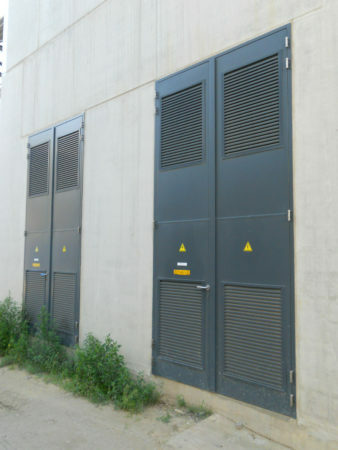 Heinen usually makes these doors for high-voltage cabins, for use in the technical field, in the petrochemical industry (SEVESO sites) or for residential buildings. Thanks to the Metal+ concept, Heinen has a head start as its hung doors already have a basic structure that is burglary resistant (level CR2) and provides acoustic insulation (Rw 30dB). With the addition of a number of simple options (see list below), these basic doors can quickly reach a highly reinforced level CR2. 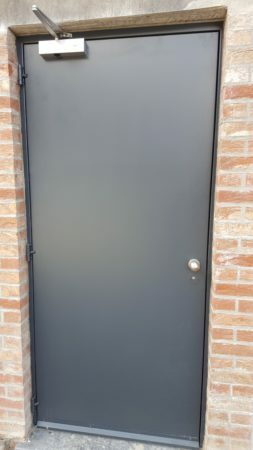 The Metal+ structure guarantees permanent functioning as an access (entrance door with electric lock for access control) and as an emergency exit if required. 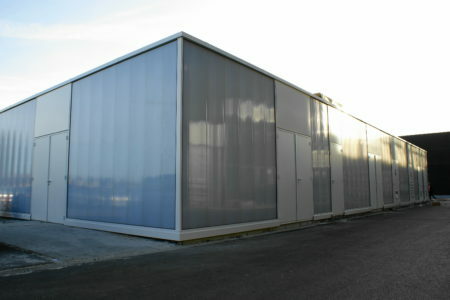 The external doors have a fairly wide range of additional accessories and fittings to avoid surprises later on. 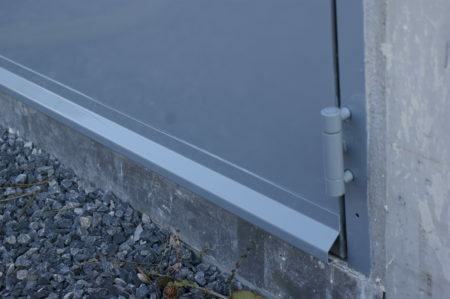 The hot-dip galvanised doors should preferably be painted (RAL colours) to provide better resistance to water and salt (in winter or at the coast). 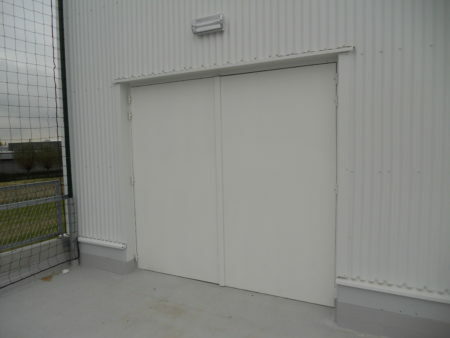 If they open inwards, the doors are less subjected to damaging weather conditions. When the door opens outwards, it should preferably be fitted with a door stop or a storm chain, particularly if it is subject to violent use. 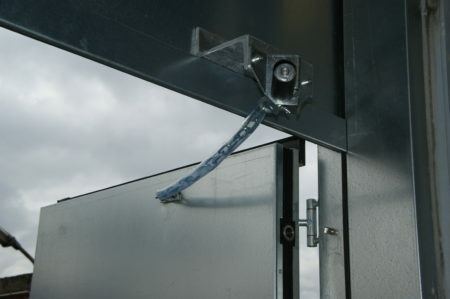 However, on low doors (2200 mm high), the chain can sometimes be a nuisance. 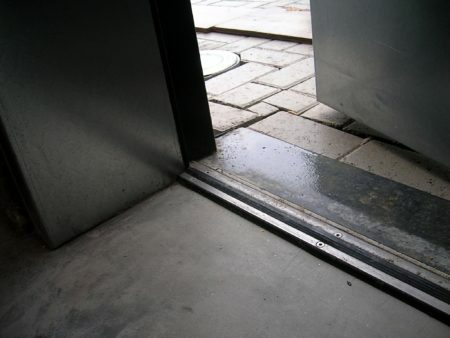 In this case, we recommend a specific sliding door closer with built-in door stop. These accessories can be used over long periods without failing as they are firmly anchored in the frame comprising the inside of each Heinen door leaf.